Muscle Car Restoration is why car collectors and auto enthusiasts are taking restored muscle cars seriously. Do you want proof? Just consider the amount of “block time”, and the prices these are getting by Mopar Hemis, GTOs, Shelby Mustangs, SS Chevelles and Z/28 Camaros at the Barrett Jackson, Mecum and RM auctions. 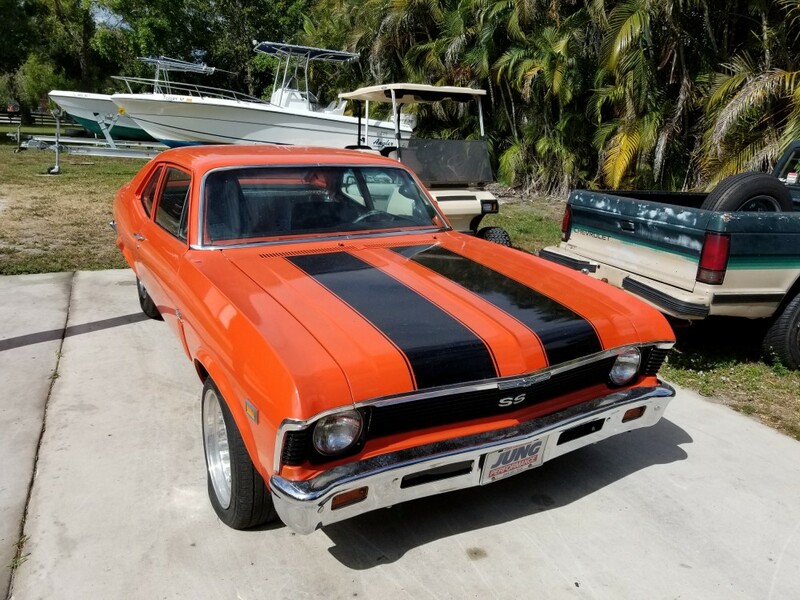 Muscle cars continue to grow at a rapid pace mostly because they were a big part of the baby boomer generation, but virtually every generation can appreciate the power, sound and visceral image of a Vitamin C orange 426 Hemi-powered Chevy Nova SS. Unlike some Collector Cars, muscle cars are fun to own and drive. At The Motor Masters, we specialize in date-coded, number-matching muscle cars accurately restored to the highest standards OR if a customer wants a Custom Built Restoration. Vehicles restored by The Motor Masters are being proudly marketed at the national level. Don’t leave your muscle car restoration project in the hands of a shop that doesn’t have the experience, expertise, and track record of The Motor Masters. Our team has over 200 years of experience in the automotive industry. The Motor Masters has many years of experience with all makes and models of muscle cars. No project is too big or small – from a complete frame-off restoration to a concours-winning paint job. Our team at The Motor Masters will get the job done in a timely manner. Part of The Motor Masters quotation process includes a detailed estimate and regular updates to our customers, via email or phone call, so that you can constantly be regularly updated on your vehicle’s progress, no matter where you are. Bottomline, if you own a Muscle Car and looking for a reputable Classic Car restoration shop that specializes in Muscle Car Restoration, The Motor Masters is the shop you can trust and send your car to and get a quality restoration of your choice.